We are delighted to introduce our current graduating students to you. We have a selection of public performances throughout the year, including two showcases in London and Manchester. Do browse our students' headshots and if you would like to discuss any of our students or attend a performance, do email us at london@icat.actor (London School) info@icat.actor (Manchester School). London: 1pm, on the 19th of March 2019 at the Bloomsbury Theatre Studio. 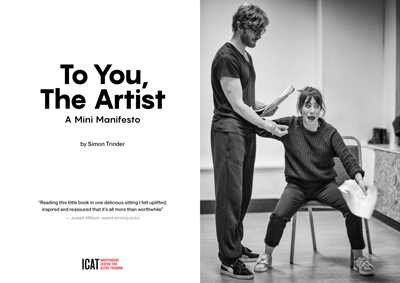 Please email london@icat.actor to be added to the guest-list. Manchester: 1pm, on the 21st March 2019. Please email info@icat.actor to be added to the guest-list. Previous Performances: London: The Winter's Tale at The Courtyard Theatre on the 29th and the 30th of November 2018. Manchester: Grimm Tales at The Three Minute Theatre on the 29th, 30th of November and the 1st of December 2018.